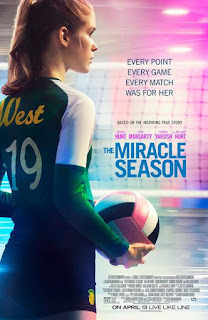 Read Mind on Movies review of The Miracle Season. Based on the inspiring true story of West High School girls' volleyball team. After the tragic death of the school's star player Caroline "Line" Found, the remaining team players must band together under the guidance of their tough-love coach in hope of winning the state championship. 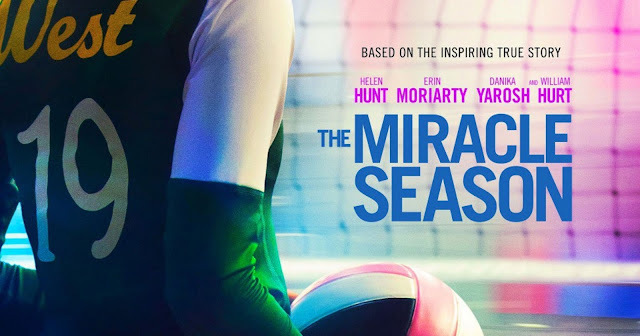 The Miracle Season is in theaters on April 6th, 2018. This movie takes place at West High in Iowa City, the women’s Volleyball team is competing to win state championships two years in a row. The team unexpectedly loose their captain’ Caroline “Line” Found, played by Danika Yarosh and they must band together under the new leadership of Kelly (Erin Moriarty). I thought it was great this was based off real events, I think it’s important to remember the people in our lives who have passed. It must be a very special experience for the real parents of Caroline Found to see their daughters story told, and to have her legacy go on. This movie was good if you like sports and volleyball - I don’t know too much of either so I feel like some of the message was lost.